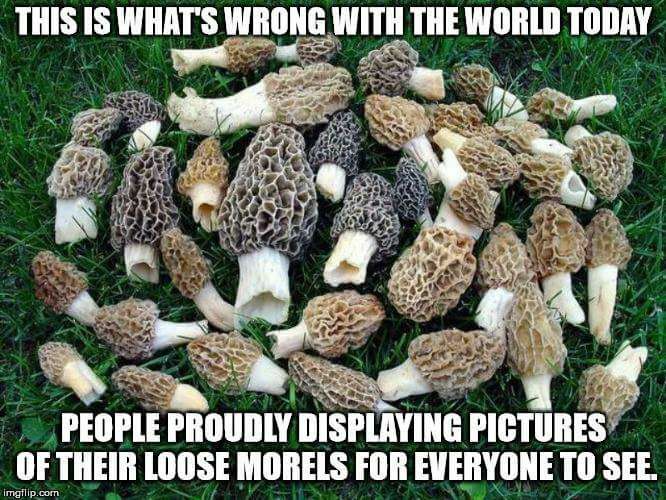 You can argue yourself blue in the face, and you’re not going to change each other’s minds. I hate the fact that people think ‘compromise’ is a dirty word. 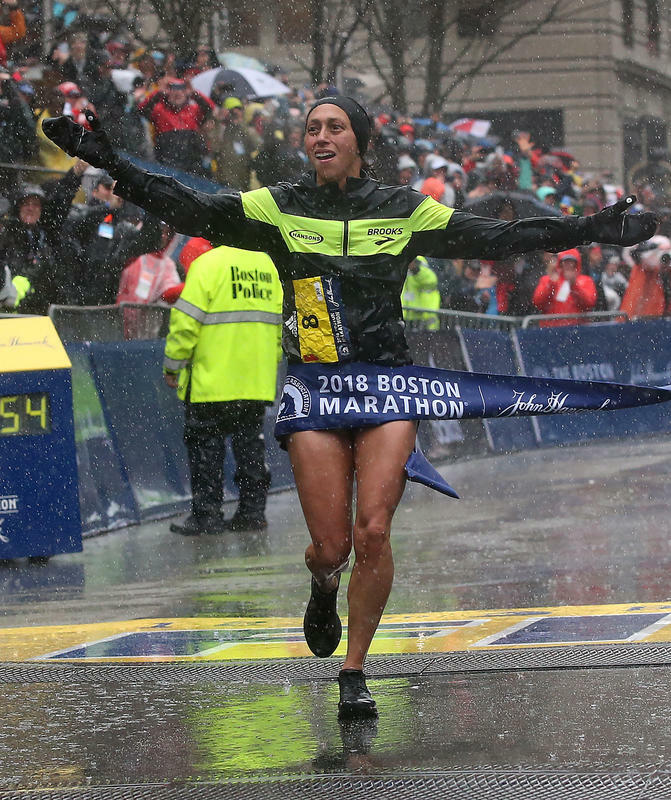 Over the past 11 years, Desiree Linden has started 15 marathons, finished 14 of them, and come in second three times. But until today, she had never broken the tape. That’s despite some close calls, most notably at the Boston Marathon in 2011, when she came within 2 seconds of taking the crown. With each near miss, her desire to win only grew, as did her legions of fans, who commiserated with her struggle every time she came close again. 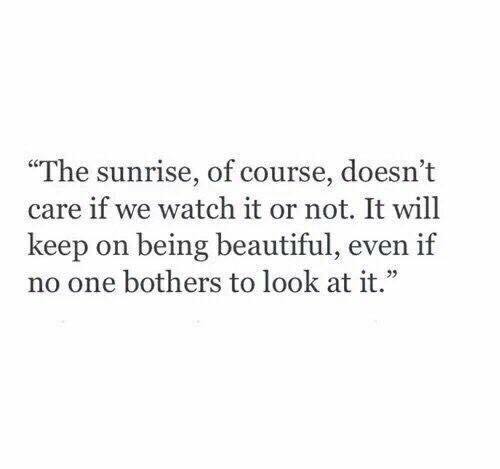 We should all try to be like the sunrise. If we keep things in perspective, it may help us to get along with one another. The enemy of the best idea or act, isn’t a bad idea. 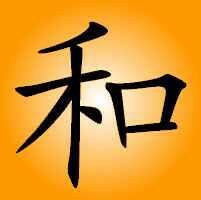 Strangely enough, it is the good idea or act. 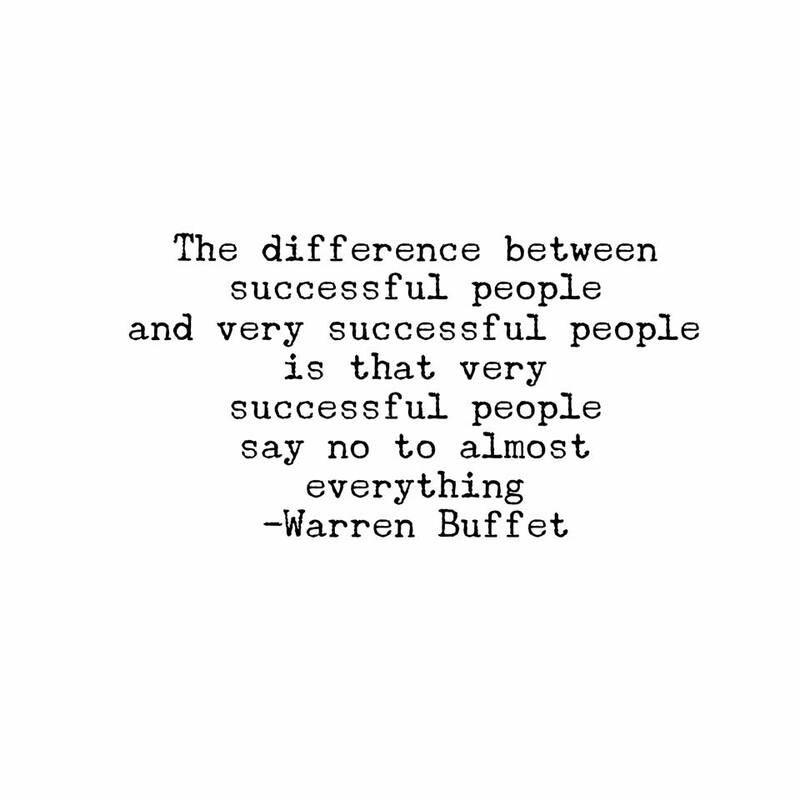 Give the following some thought, if it isn’t readily apparent. 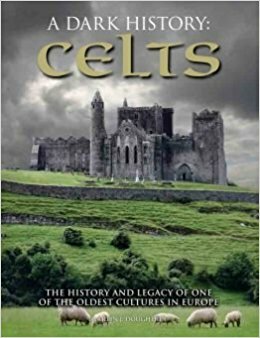 If you are part Celt, as am I; you will love this book. Lots and lots of photos too. I regret just recently watching this film, although I knew about it when it first came out. 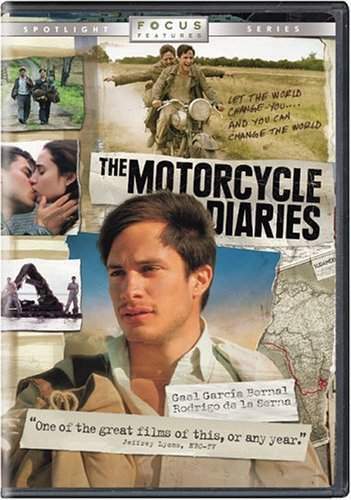 It stars one of my favorite Mexican actors, Gael Garcia Bernal. It is in Spanish, with English subtitles. I don’t think the film would be anywhere near as meaningful, if the actors spoke English–actually, it would be a bit of a joke if they did. I did watch a minute or two of the actors speaking French and that was just sad. I found it interesting that the trip took them through a number of places in Perú that Carol and I had visited. 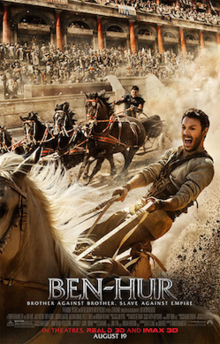 I thought this version of Ben-Hur wasn’t as good as the beginning of the original film, but was better than the end of the original film. For two films based upon the same book, they are very different. I can recall all the events pictured in the video that goes with this marvelous song by the great Sam Cooke. 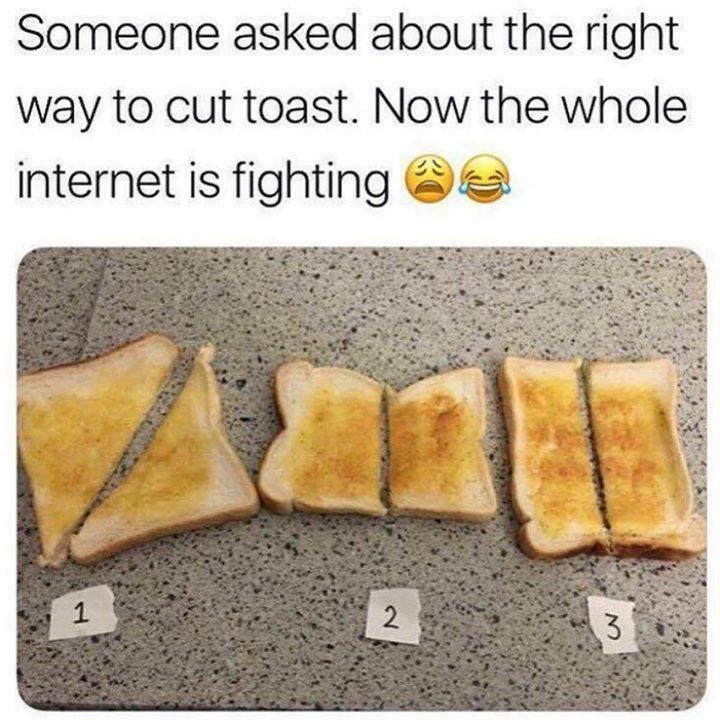 LAST WEEK’S POLL – How to cut toast? 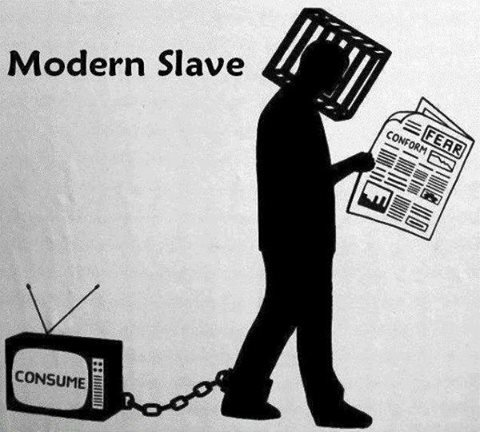 THIS WEEK’S POLL – Modern Slave? This week, I just could not decide who should be the most extraordinary person, so I did some searches on cool people. Well, when you do a search like that, you get some strange results. I finally went with this guy, because the site listed out why they thought he was so cool and I found the reasons interesting. 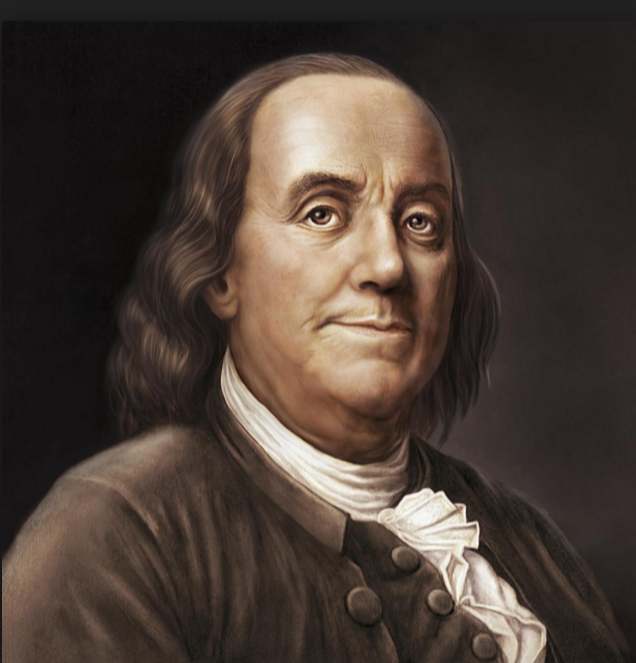 Co-signer and contributor to the Declaration of Independence, the United States Constitution and The Treaty of Paris. 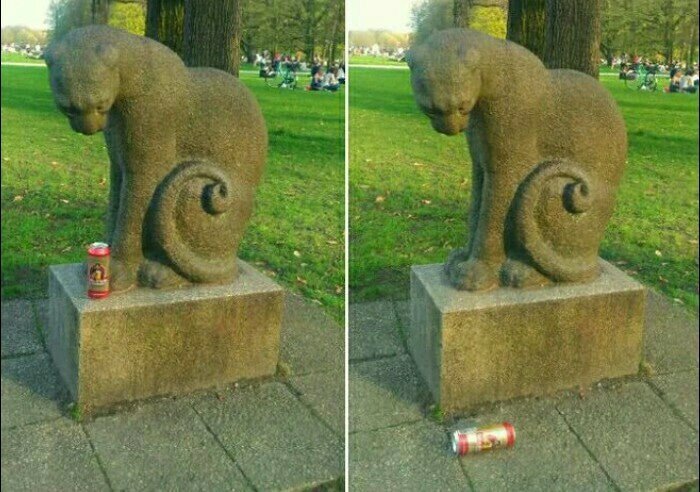 This is only funny, if you know cats. Thank you America on Coffee, Coach Jo, Melissa & Penney, for commenting on last week’s post. 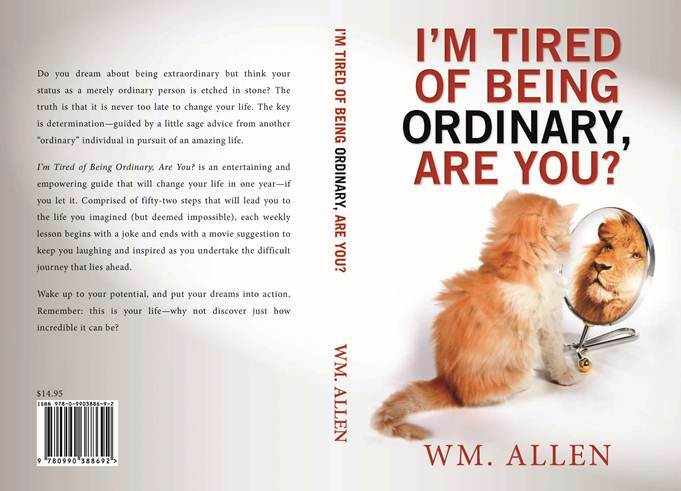 And my thanks to Anushka, John, Missteriouso, Nicole, Priya, Thought for Change & Ushma, who started following my blog. And thank you Camelia, Lynn & Terry for liking my Harmony Books & Films Facebook page. And thank you Brian, Carol, Debra, Deborah, Denise, Donna, Doug, Qaz, Sandy, Stephen, Tammy & Tim, for sharing my FB post. 4/30/18 – Peace on the Korean Peninsula? I love the video and the cartoon following it. A friend of mine from university ran the Boston Marathon this year. 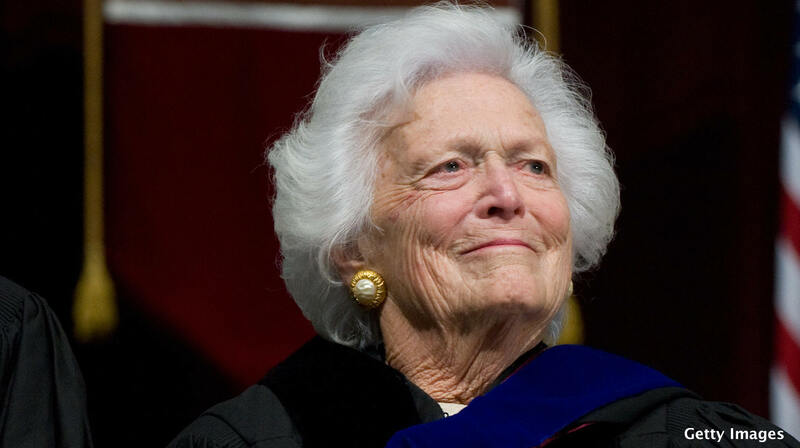 (I don’t know what her place was, but she finished the race–a huge accomplishment!) I’m glad Des Linden won. She worked hard for her victory. Great choice for the music! Winning a marathon… just completing one, I think, is a huge achievement. I ran 6k yesterday, that was my marathon, haha! 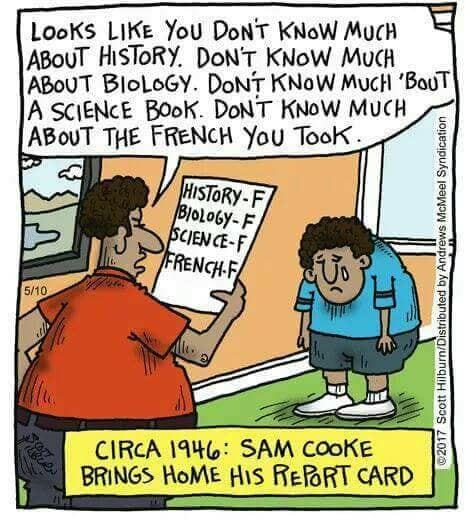 When I saw Sam Cooke’s report card, I just knew I had to use that music video–glad you liked it Samantha. My marathon days are long behind me. I’m going to have to struggle to do a 5K this year, so you are doing well with your 6K yesterday. Thank you very much for the feedback Angela. It seems like the time since 2014 has simply flown by. Best wishes to you on your blogging experience.